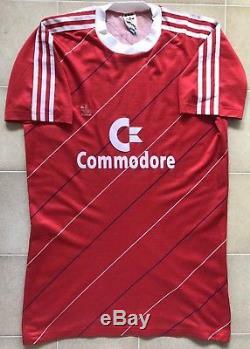 AUTHENTIC ADIDAS BAYERN MUNICH 1984/85 HOME JERSEY. MENS SIZE L - CHEST APPROX 52CM ACROSS, LENGTH APPROX 78CM. 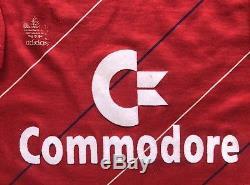 EXCELLENT CONDITION - SOME LIGHT WEAR TO COMMODORE SPONSOR & ADIDAS LOGO (AS PICTURED), AND A COUPLE OF TINY LIGHT BOBBLES, OTHERWISE PERFECT. NO PULLS, MARKS OR ANY OTHER FLAWS AT ALL. 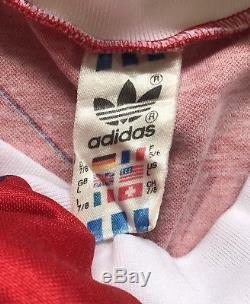 EXTREMELY RARE HOME JERSEY AS WORN DURING THE 84/85 BUNDESLIGA WINNING SEASON BY PLAYERS SUCH AS LOTTHAR MATTHAUS, KLAUS AUGENTHALER & SOREN LERBY. FOR A LARGE RANGE OF FOOTBALL JERSEYS, CLOTHING AND MERCHANDISE PLEASE VISIT OUR STORE - THE FOOTBALL HOUSE. IF YOU HAVE ANY QUESTIONS OR QUERIES PLEASE MESSAGE US, THANKS FOR LOOKING! 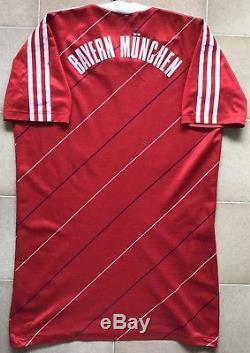 The item "Authentic Adidas Bayern Munich 84/85 Home Jersey. Mens L, Excellent Condition" is in sale since Monday, November 12, 2018. 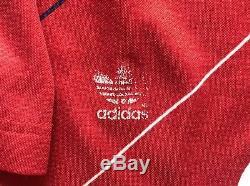 This item is in the category "Sporting Goods\Soccer\Clothing, Boots\Jerseys". 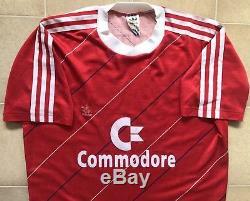 The seller is "thefootballhouse" and is located in Burnie, Tasmania. This item can be shipped worldwide.